When it comes to nail polish, winter is traditionally the time for warm dark shades. Dark colors look glamorous and classy and with festivities around the corner you will find a number of brands flood the market with a number of dark nail polish colors. Removing Dark Nail Polish is a Challenge! The darker nail polishes such as red, blue, black, fuchsia, green pretty much every color takes a toll on your nails. Removing these colors from the nails is a challenge and we end up leaving the nails stained with leftover dye. In this article/video post I am gonna be sharing a couple of do’s and dont’s along with some tips and tricks which will make your dark nail polish removing experience a lot easier and less messy. The easiest way to prevent the staining from happening in the first place is by always using 2 coats of clear base coat and then apply the dark nail polish over it. Not only does a base coat increase the life of your nail polish, but it also seals and protects the nails from staining. While removing dark nail polish, do not go back and forth and push the cotton strip towards the cuticle. This will cause chunks of nail polish to get stuck under the nails in addition to staining the skin around it. 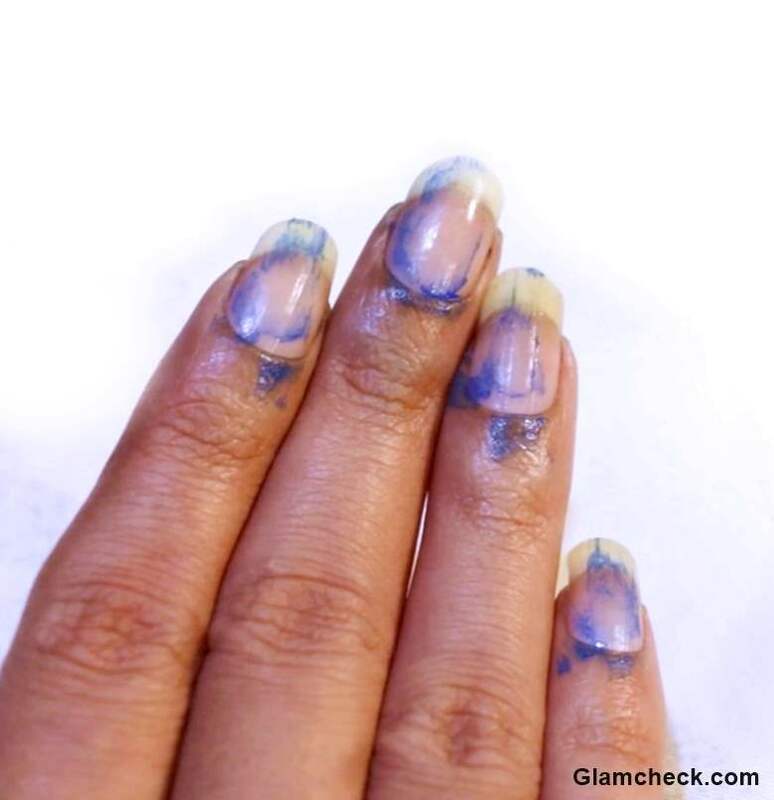 This is a wrong way to remove dark nail polish and should never be done. The very thought of removing nail polish makes one panicky. We have lot of patience when it comes to applying nail polish and allowing it to dry but when it comes the time to remove it, we are always in so much hurry that we end up messing it. Remember, you need to have some patience because removing dark nail polish is going to take some time. Step 2) Dip a strip into the nail polish remover and allow the cotton to soak in a generous amount of the solution. Remember,You want the strip saturated but not dripping wet. Step 3) Place the wet strip onto a nail firmly and press gently so it will stay in place. Allow it to sit for a couple of seconds. Step 4) Once it’s been a couple of seconds, Apply pressure at the nail bed and push the cotton towards the tip to remove the nail polish in just 1 stroke. The polish should come off pretty easily! If the cotton sticks, probably you didn’t use enough remover. Dab more polish remover onto the cotton strip and let it sit a little longer. Repeat the steps for the rest of the nails. You should hardly have any traces of the nail polish left on your nails. But if you still have, all you need to do is wash your fingers with water and scrub your nails with a slice of lemon. This will help get rid of any tiny stain left on the nails and will further nourish them. Wash your fingers after scrubbing and apply a moisturizer or coconut oil to make your fingers and nails soft and supple and there you go! It’s always good to have some gap between 2 manicures – atleast a couple of hours. Pink Nail Art – The Art on Nails in Pink!